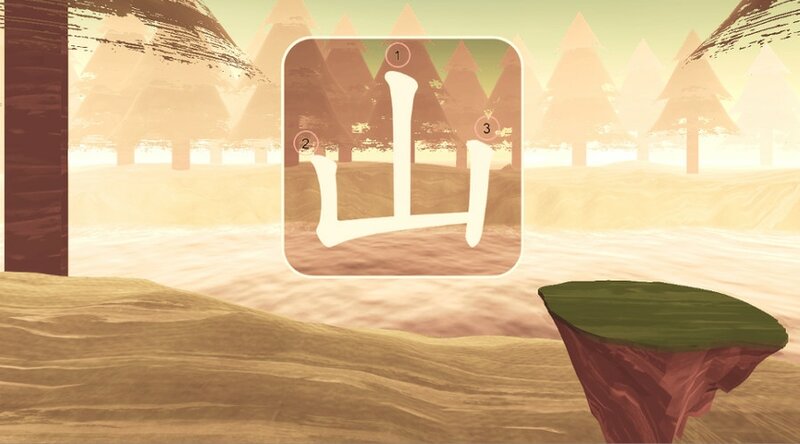 This is a research project with the goal to design and develop a virtual reality application that assists in teaching Chinese language and culture. 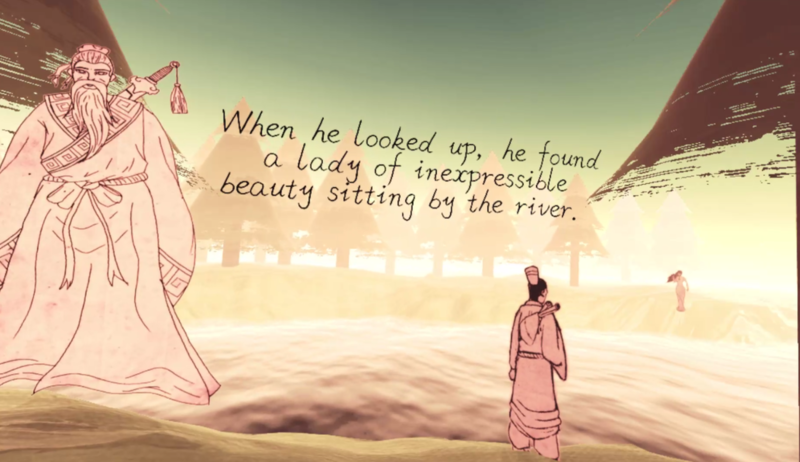 The educational app alternates between telling parts of an ancient Chinese folktale, and teaching basic characters related to the previous story segment. Plan- "Language lab of the future"
The educational app uses the prose-poem by poet and prince Cao Zhi as inspiration. The poem's story is used as a general guide for teaching specific fundamental characters. The project is part of a larger series that uses one of the famous Eight Immortals in Chinese tradition to narrate classic Chinese folktales while teaching Mandarin. 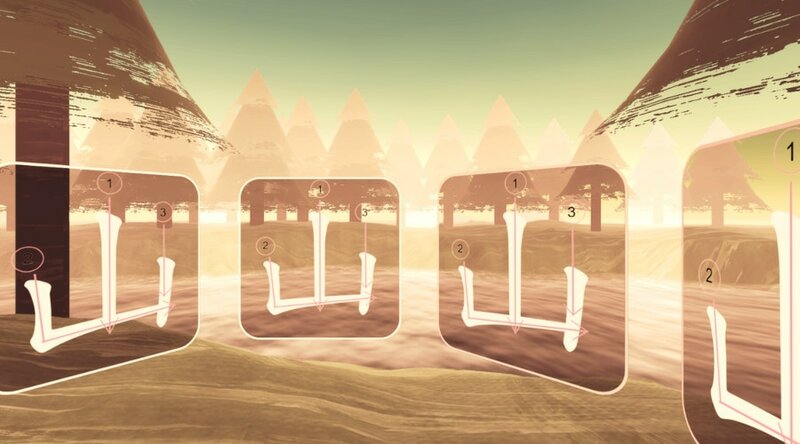 A narrative element is especially useful for teaching Chinese in VR because it allows for a cultural perspective while varying the activity to keep the experience fresh. The way the experience is structured, the user is first presented with the opening to the story and then takes a break to learn characters related to the part they just heard. This cycle repeats and is intended to keep the user more interested than if exclusively one or the other were used. The story begins with a prince and his experience interacting with the incredibly beautiful goddess of the Luo river, then shows their expressions of mutual affection, and tragically ends by revealing how they cannot become lovers because they come from two different worlds. The project has two different game modes. The first mode has the player following stroke order on the template given, and when this is complete the template is replaced by another. The second mode encircles the player with templates all of the same word, replenishing the given templates when all have been completed.